Blog by Doolin Auto of Rushville, IL, providing clean and reliable used cars, trucks, and SUVs for every budget. 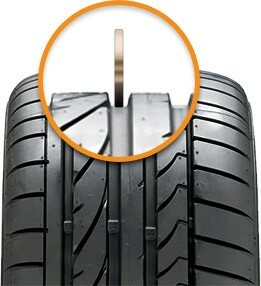 With President Lincoln's head pointed down, insert a penny into the grooves on your tire tread. If any part of Lincoln's head is hidden by the tire tread, your tires are fine. Otherwise, your treads are too shallow and it's time to replace your tires. A lot of factors go into selecting new tires: traction, Central Illinois weather conditions, handling, load capacity, tread life, looks, warranty and price. Schuyler County driving conditions vary from commuting to rock crawling; from blistering highways to black ice – and everything in between. Dan, at Doolin Auto Inc. can help you strike the proper balance. If you're happy with your current wheels, then talk with us about where you drive, if you tow or carry heavy loads, if you're sensitive to tire noise – things like that. We can suggest options appropriate for your particular needs. Central Illinois drivers looking for new wheels need to keep in mind some practical matters. For example, you may want large wheels and low profile tires for your SUV. But if you plan to do some off-roading, there may not be low profile tires that work well in dirt and mud – and low profile tires won't protect your rims from rocks leading to damage. You need a tire and wheel combination that meets all your needs. Also, electronic safety systems like anti-lock brakes, traction control and stability control are calibrated for a specific rolling diameter tire. If you're going larger or smaller, the systems need to be recalibrated to work as intended. Along the same lines, extremely large tires and wheels may not fit inside your wheel wells causing the tires to rub when you turn or go over bumps. You may require suspension modifications to safely accommodate the look you're going after. Same goes for very small tires and wheels. Just ask Dan for ideas to help you get the look you want with a tire that meets your safety and performance needs.